Team Rebel Designs Beholder Lite gimbal is designed for the DJI Phantom, or other similarly sized multi-rotor aircraft. Weighing less than 250g fully assembled, including a GoPro3, this gimbal features a pair of through-hole brushless motors. 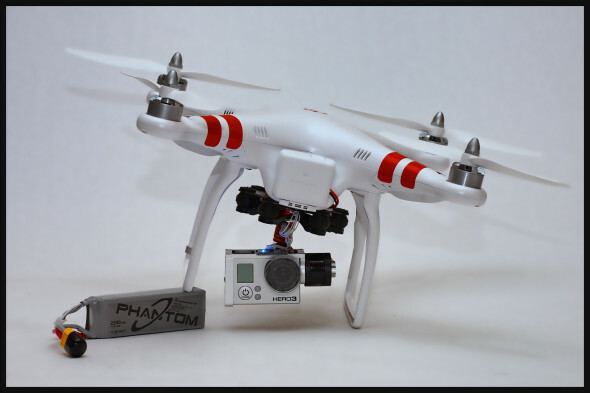 Everything required for attaching this gimbal to a Phantom is included in the package. Optimal positioning of the GoPro lens on the pitch and roll axis assures a good mechanical balance. 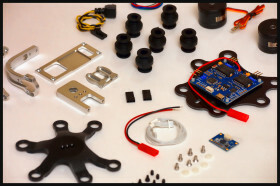 Micro USB port included for FPV enthusiasts.